Bio: Junpei “Joni” Zhong is currently a research scientist at National Institute of Advanced Industrial Science and Technology (AIST), Tokyo, Japan. He received BEng from the South China University of Technology in 2006, M.Phil from the Hong Kong Polytechnic University in 2010 and Ph.D. ("with great distinction") from the University of Hamburg in 2015. From 2014 to 2018, he has been participating in a few projects in Germany, UK, and Japan. 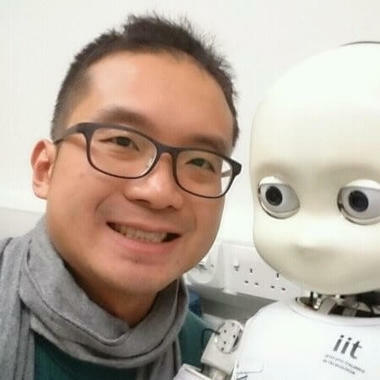 His research interests are machine intelligence, machine learning, cognitive robotics and assistive robotics. He has been awarded the EU Marie-Curie Fellowship from 2010 to 2013. He is also a founding member of the organisation "Consciousness Research Network" and a Guest Editor of journal "Complexity" and "Interaction Studies". AIST is one of the largest public research institutes in Japan and functions as an “Open Innovation Hub”. Joni will introduce their studies on cross-modelling and developing the cognitive abilities of robots.